72. ^ He died of a heart attack, breakfasting with his son, in one of his favourite Upper West Side eateries, the Metro Diner. Marshall Howard Berman grew up in humble Jewish Morrisania in the South Bronx. His parents ran a ‘doomed mom-and-pop’ garment company, Betmar Tag & Label Co., half a block from Times Square. In 1955, Murray died of a heart attack. ‘I was not quite fifteen,’ Berman wrote years later in his personal account of Times Square, On the Town (2006). ‘It knocked me to the floor; I felt at one blow my adolescence was over, just when I was hoping it would start. For the next few years, my friends played variations of Rebel Without a Cause, but I stayed close to my family, a sad good boy in mourning.’During the 1950s, Berman’s old neighbourhood was torn apart by Robert Moses’s ‘meat ax’, making way for the Cross-Bronx Expressway, another experience that profoundly shaped Berman’s life and thought. In All That is Solid Melts into Air (1982), the masterpiece for which he’ll be remembered, Berman wrote: ‘often the price of ongoing and expanding modernity is the destruction not merely of “traditional” and “pre-modern” institutions and environments but – and here’s the real tragedy – of everything that was most vital and beautiful in the modern world itself. To be modern turned out to be far more problematical, and more perilous, than I had been taught.’ Goethe, Dostoevsky and Baudelaire shed light on modernity’s spiritual ambivalence; only Marx, Berman said, delved into the spiritual and material ambivalence of modernity; only Marx reconstructed a modern vision that combined both as a coherent totality. Modern people know their haloes have been lost yet somehow they deal with it, or else try to. Berman’s Marx orbited firmly in the tragic tradition. To be modern is akin to Lear on the heath, a naked truth that humans are forced to face when they ‘have lost everything that other men can take away, except life itself’. ‘Marx’s perspective is hard to sustain,’ Berman said, ‘if you’re not grown up.’Berman loved to emphasize the good news about modern life and did so with great lyricism and literary verve. He wrote frequently for the Village Voice, the Nation, and especially Dissent, on whose editorial board he sat. Exemplary essays were assembled in his 1999 book Adventures in Marxism; a dancing Marx adorned its cover. It was a style that gained plenty of admirers on the Left, as well as a few naysayers, who thought him too upbeat. Berman insisted Marxism should be a great adventure, an experiment in life as well as in thought. He never took critiques from either the Left or the Right lying down, and with typical wit warned his own camp how remote a lot of critical theory had become, how sour and bitter it is not only about capitalist society but about modern life itself. ‘Sometimes,’ he said, ‘it sounds as if culture were just one more Department of Exploitation and Oppression, containing nothing luminous or valuable in itself. 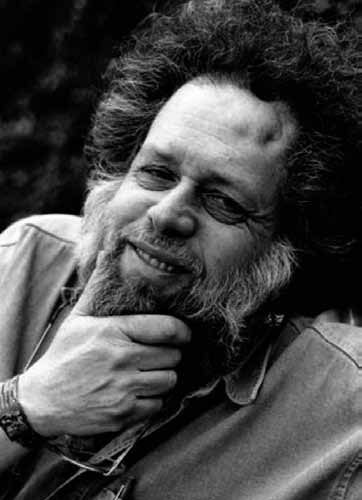 At other times, it sounds as if people’s mind’s were empty vessels with nothing inside except what Capital put there.’Berman was educated at the Bronx High School of Science, and read history at Columbia University, where he participated in the campus sit-ins of Students for a Democratic Society (SDS), protesting the Vietnam War. In 1963, he received a BLitt from Oxford, writing a dissertation on Marx’s concept of freedom and individuality, under Isaiah Berlin’s guidance. His contemporaries were G.A. Cohen and Bertell Ollman. In 1967, Berman gained a PhD from Harvard for a doctoral thesis on Rousseau and Montesquieu that would become a first book, The Politics of Authenticity (1970), expressive of Berman’s lifelong passion for romanticism. After Harvard, Berman landed his first and only academic job, teaching political science and urbanism at the City College of New York (CCNY), a beleaguered public institution in the CUNY system, located in Harlem. He became a Distinguished Professor and remained a generous and devoted teacher right up to the morning he was struck down. It wasn’t enough for Berman to understand the contradictions of capitalism and the delights and hazards of New York; he felt them within. He also felt the need to share the experience with other people. It’s an approach that asked for trouble. But Berman’s modernism never shied away from drama and tragedy. I first met Berman in the spring of 1994 in Oxford. I’d invited him to a conference I was co-organizing with Erik Swyngedouw, celebrating the twentieth anniversary of David Harvey’s Social Justice and the City. To my amazement he came and read out a paper on rap. This wasn’t quite true: he sang it out, bawled out refrains from Melle Mel and Chuck D. He blew everybody away that afternoon; not just because of his immense intellect, nor even because of the weird mélange of political theory and pop culture; more because of his intense honesty and emotional charge, an almost unbearable frankness in talking about himself. The following summer I met Berman in New York at the Metro Diner. I’d arrived early and was sitting in a booth next to 100th Street, facing westwards. When he arrived he insisted I faced the other way, turned eastwards, so I could watch the action along Upper Broadway, the central artery of his neighbourhood, from which he derived much nourishment, a street he’d seen change over the years, a street he loved maybe more than it loved him. To live happily in NYC meant you had to look the negative in the face and live with it. Forever a man of the 1960s, Berman cut an idiosyncratic figure. He was short and bulky; and with a large grey mane and shaggy, flyway hair, a rumbled and somnolent air, he resembled a real life Dostoevskian underground man, a Raskolnikov haunting Avenue D. In 1980, when New York was still blighted by fiscal crisis, decline and hard drugs, Berman’s five-year-old son Marc died. His mother, an addict, leapt out of Berman’s apartment building along West End Avenue, with child in arms. She lived. All That is Solid Melts into Air is dedicated to his late son. The death of a child, Berman said in his preface, citing Ivan Karamazov, makes you want to give back your entrance ticket to the universe. But we don’t give it back, ‘we keep on keeping on’. Berman kept on keeping on, even if he never really recovered from his son’s ‘murder’. In the 1980s, he nearly died of a brain abscess, leaving gaping holes in his forehead; he suffered seizures thereafter, as well as sleep apnoea. A dedicated Bible reader and regular at the Ansche Chesed Synagogue on West 100th street, Berman was something of an observant agnostic. On Rosh Hashanah, a week before he died, he was there with a peach-coloured jacket over tie-dye T-shirt. In one of his final public performances in May, the Annual Lewis Mumford Urbanism Lecture at CCNY, Berman received a standing ovation in the Great Hall. He emerged from the ruins with a Bruce Springsteen refrain – ‘come on rise up,/ come on rise up’ – together with a remarkable vision of King Solomon’s cosmopolitan democracy. It was pure Berman at his inimitable best, a valedictory lamentation to urban life.